The final article in a series on using the CSCW tool in LINCKS. 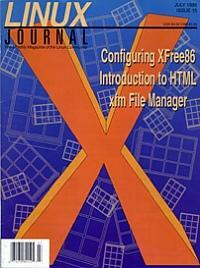 A non-file manager user discovers the usefulness and flexibility of xfm. Learn how to create documents for the World Wide Web in HTML. A no-tears guide to XFree86 configuration.